Nano clusters of Copper sulfides (CuS) have paramount importance due to its significant adsorption property and non-toxic behaviour. In this report, nanoalloy clusters of (CuS)n; (n = 1–8) have been theoretically analyzed in terms of Conceptual Density Functional Theory (CDFT) based descriptors, aiming to explore its electronic and other properties. 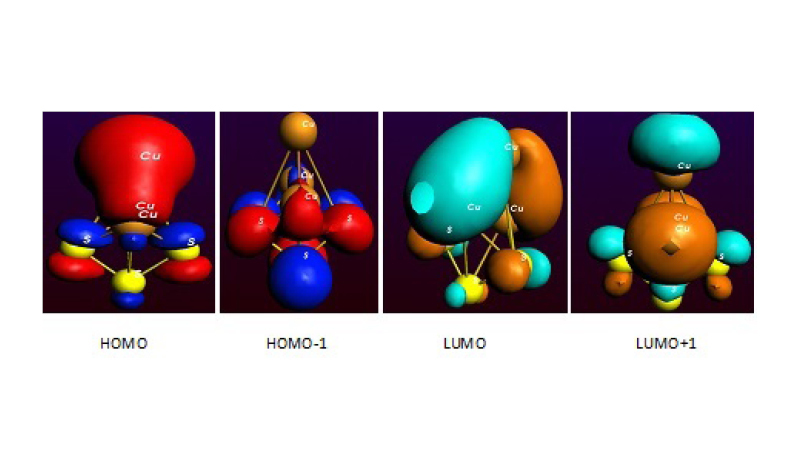 Global DFT based descriptors have been computed for ground state configurations and low-lying isomers of (CuS)n clusters. Computed HOMO-LUMO gaps, lying in the range of 1.25–3.53 eV, indicate that (CuS)n clusters may be utilized as renewable energy sources specially in photocatalysis and solar cell applications. A statistical correlation has been established between electronic and photo-catalytic properties of copper-sulfide clusters with their computational counterparts. The close agreement between experimental and computed data supports our analytical approach.